In the ecommerce sector, there are several parameters that a marketplace owners must keep in check to sustain profitability. There was a time when the main focus of ecommerce marketplaces was to increase the user base. This was primarily done by giving out lucrative discounts and offers. But today, you cannot sustain your online business just by giving out these offers on a regular basis. You need to innovate and incorporate certain best practices to ensure you stay profitable. At the end of the day, it is all about how much revenue you are generating and how much are you spending to achieve that revenue. However, there is another way to juice up the former while avoiding any substantial spending. And it all revolves around increasing your average order value (AOV). 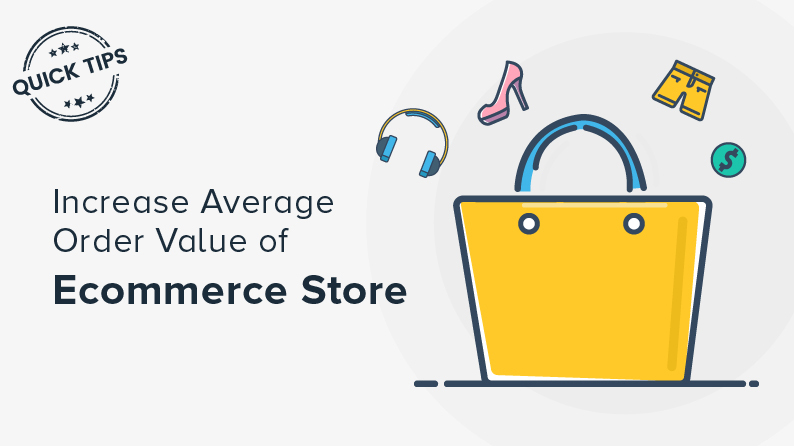 Average Order Value (AOV) is one of the most crucial metrics in the ecommerce arena. It is the average value of every order placed on a marketplace. 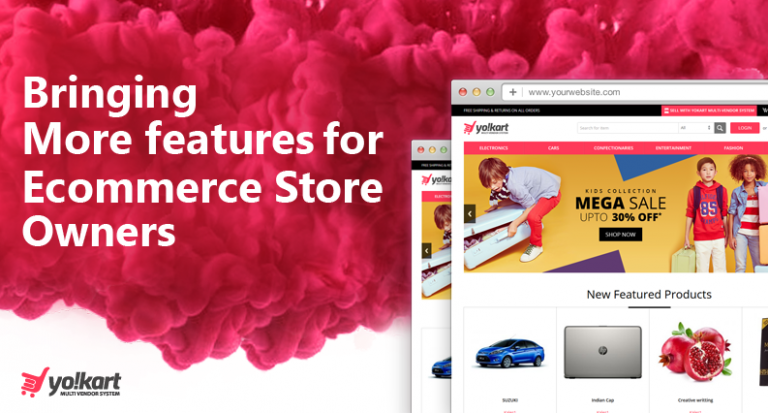 Its vitality is such that it drives key business decisions such as advertising spend, store layout, and product pricing for any ecommerce marketplace. 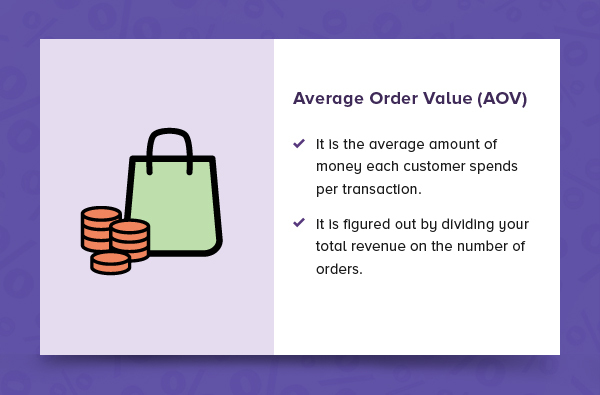 How to calculate Average Order Value and why ecommerce stores should do it frequently? It is crucial to note that AOV is determined using sales per order and not from sales per customer. Although one customer may make multiple purchases, each order would be factored into AOV separately. As ecommerce marketplaces are maturing, there is a growing need for better assessment of their marketplace revenues. As mentioned earlier, during the initial days, user acquisition was the biggest concern; so a lot of focus was given on discounts and offers for first time buyers. However, once an ecommerce store has garnered substantial user base, it needs to ensure that each user buys more. Consumers are not buying multiple items. The lesser costing shoes represent the majority of sales. This disparity among sold products can be minimized by optimizing average order value of your marketplace. By increasing AOV, online marketplaces not only increase their Return on Investments (ROI) but also Return of Advertising Spend (ROAS). 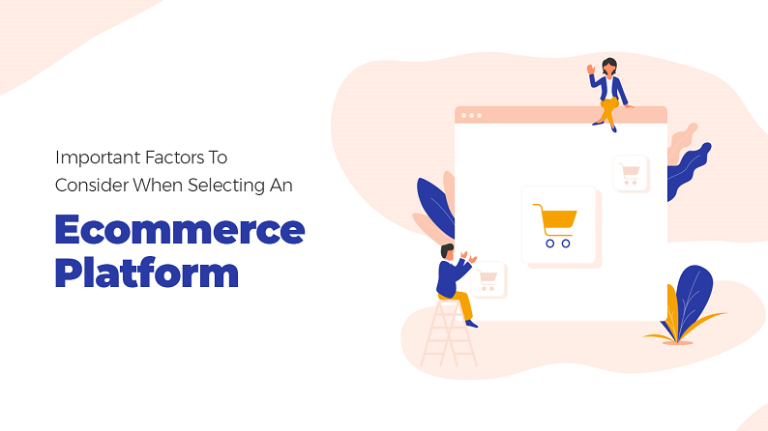 Below are some strategies through which ecommerce marketplaces can increase their average order value. 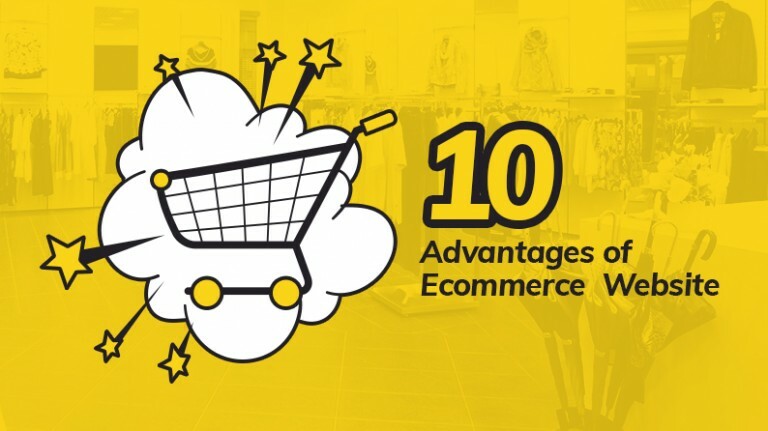 Now that you have a good idea why AOV is crucial for your ecommerce marketplace and how to calculate it, let us look at some strategies using which you can increase it. 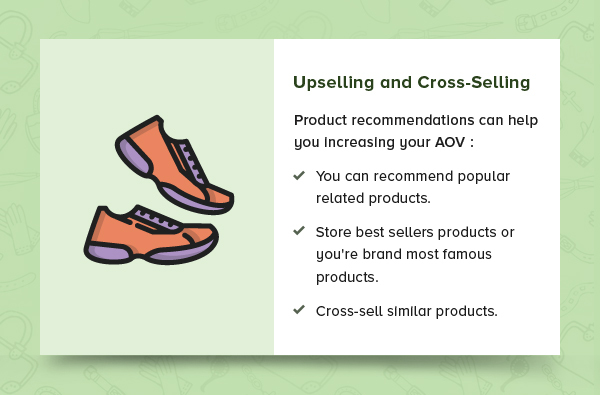 For any sales and marketing person, up-selling/cross-selling has become the penultimate tip to increase sales (after discount). Upselling is – if a consumer is eyeing a 320GB Windows 7 Laptop, throw in a gleaming image of 500GB Windows 10 Laptop. To put it in simple words, upselling is offering consumers a better and more expensive variant of the item they are looking for. One way you can achieve it is product recommendations. However, this needs to be done intelligently. If you just go on up-selling spree on every transaction, you might end up losing the customer itself. Another way to increase the value of the order is cross-selling. For example, if a customer is buying a DSLR camera, give him recommendations of buying a memory card, a tripod, and a bag. This will entice him in increasing the number of products in the cart, hence increasing the average order value for you. 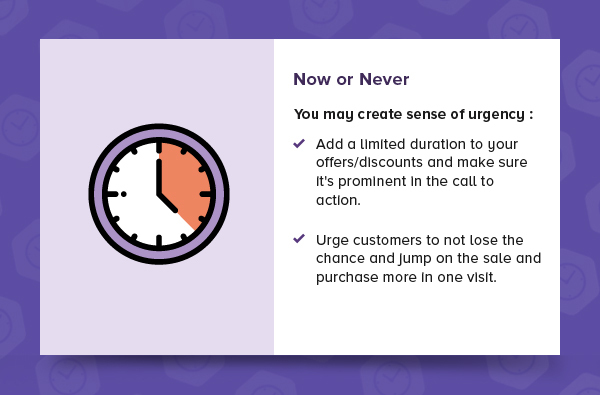 Creating a sense of urgency has always seen as a crucial tactic to entice consumers in buying. Offering limited period discounts and urging them not to miss the chance and purchase the item before the sale lasts work greatly. 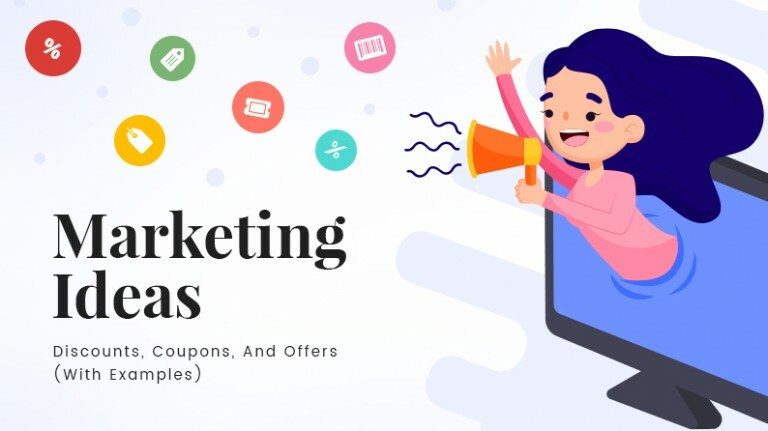 For example, if you say “40% off on all items”, it will entice consumers to browse the products, but if you say “40% off on all items only for next 2 days”, it will compel them to buy right away. Some ecommerce marketplaces often put a threshold for free shipping which is generally higher than the current AOV. 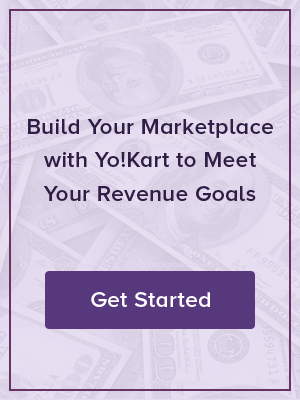 For example, if the average order value of your ecommerce marketplace is $8, then you can set threshold order value for free shipping to be $10. A study by Deloitte stated that at least 40% of consumers are willing to buy more items if they qualify for free shipping. 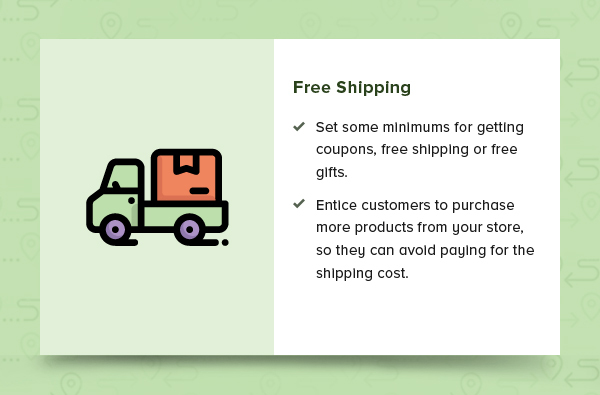 Using this strategy you can ensure that your average order value is increased and consumers end up buying more just to get free shipping. 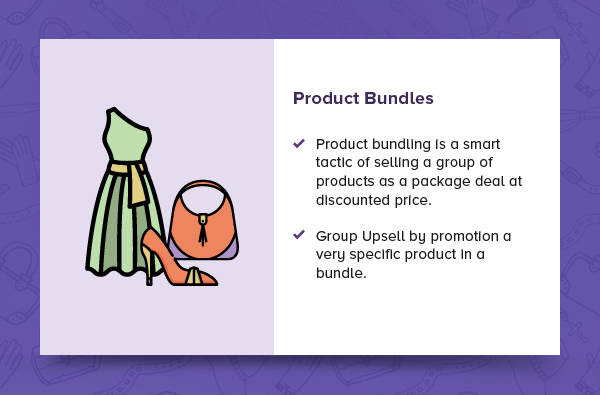 The same strategy that is applied in cross-selling can be further enhanced to offer product bundles. For example, if a consumer is looking to buy a DSLR costing $399, you can create a bundle including DSLR, a memory card, and bag totaling $545. This package deal is a good way of selling multiple products at a discounted rate. 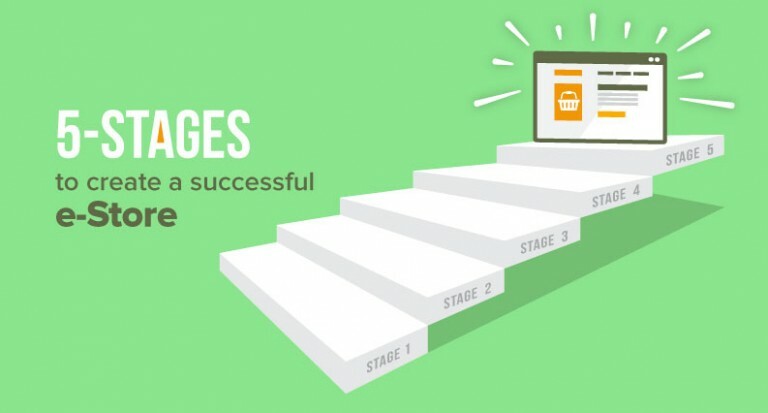 Through this approach, you can also improve the sales of your slow moving products. If you are planning to give a certain discount to clear your poor selling products, why not improvise and also increase your average order value. Tell the consumers that if they shop for at least $100, they will get a flat 20% discount; and if they shop for $200 or more they will get a flat 25% discount, and so on. This way you are compelling them to shop for at least a given amount, which is higher than what they would spend otherwise. Up till now, most of the ecommerce marketplaces used to dole out discounts to consumers on their purchases. However, now cash backs are the new normal. Rather than offering a $50 worth item at $45, you just offer $5 worth cash back to the consumer which could only be used for the next purchase. This way you ensure a second-time visit by the customer and increased order value (since the customer ultimately paid you $50 instead of $45). 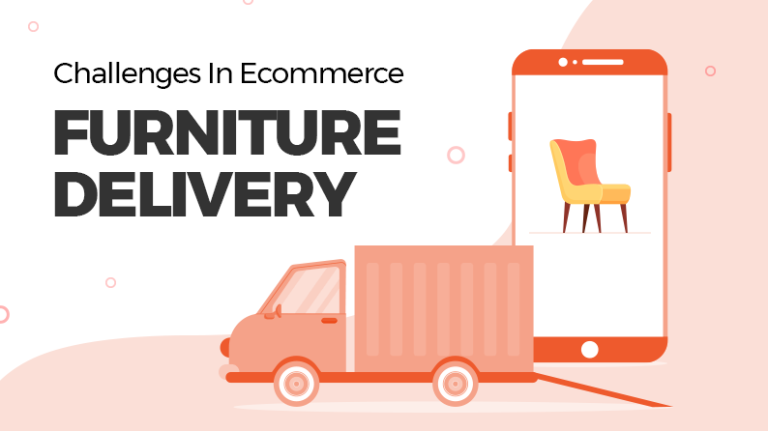 Once your ecommerce marketplace attains substantial user base, the next phase is to focus on increasing value of orders placed by those users. All these tips and strategies focus on ensuring that the consumers purchase in larger quantity more frequently from you. Having 1000 consumers buying an average of $10 worth products is similar to having 100 consumers buying $100 worth products. But the latter scenario would consume 10 times less resources & time, which will ultimately reflect some very positive changes in your ROI sheet.